Karamo Brown listens to Christmas music in February. Or more specifically, he starts listening to it immediately after Valentine’s Day and keeps playing it all the way through December 25th. “There is a Christmas radio station and it is year round,” he tells me over the phone. “My two favorite holidays are Halloween and Christmas. I think it’s the pageantry of it all. So yeah, Christmas music is playing already.” Just in time for the holidays, the Queer Eye culture expert has partnered with Hendrick’s Gin to concoct a sparkling cocktail that’s perfect for holiday parties—and great news: it’s super simple. Brown currently stars in Netflix’s breakout hit Queer Eye, a reboot of Bravo’s Queer Eye for the Straight Guy. The reality series follows the Fab Five (Brown as culture expert, Antoni Porowski as food expert, Bobby Berk as interior expert, Jonathan Van Ness as grooming expert, and Tan France as fashion expert) as they make over the lives of strangers in Georgia. During our call, Brown teased what to expect from Season 3: “I will say that we have more women.” He also explained that it would be more of a tearjerker. During our call, the always-bubbly Brown offered tips for navigating holiday party season—and even told us which cocktails his Queer Eye co-stars would be based on their personalities. Continue reading for more insights from our talk, and get the recipe for Brown’s holiday-fave Cucumber 75 cocktail below. HelloGiggles: What are your tips for hosting a Goop-level party on a Walmart budget? 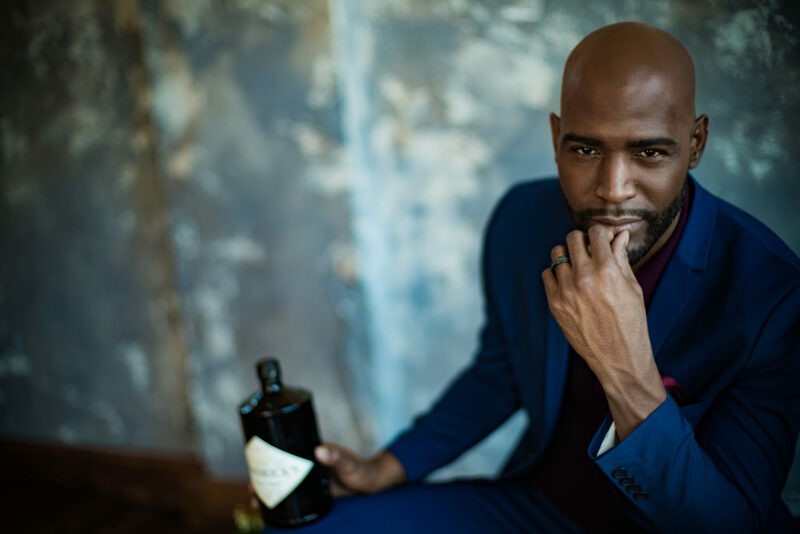 Karamo Brown: First, don’t even qualify it as a Walmart budget. A budget is a budget, and people don’t need to know it’s a Walmart budget because that’s just putting more pressure on yourself. You think, ‘Oh my gosh, people may judge me. People may think that I’m not okay for doing the bare minimum.’ Sometimes the bare minimum is all you can do, and what you can do is enough. You don’t have to overextend yourself. I think that’s something that we have to fight against in our culture—making people feel this pressure instead of thinking of the holidays as a time to propel. Propel yourself into better relationships with your family, propel yourself into a better financial state, propel yourself into a better place of how you feel about yourself. Go to Walmart and pick up whatever you want, and have fun. At the end of the day, you’re connecting with people you love. HG: Oh my gosh. That’s such a beautifully heavy answer to an otherwise vapid question. HG: What are some of your holiday traditions? My father actually started that. We originally started doing it in our stockings. We would pull it out and then read something from our parents telling us how proud they are, how much they love us. Now, my sisters, my mom and I, and the kids, on Christmas Eve, we get together. We’re drinking some type of drink (and this year will be Hendrick’s) and we share with each other what we love about each other before we start the holiday. 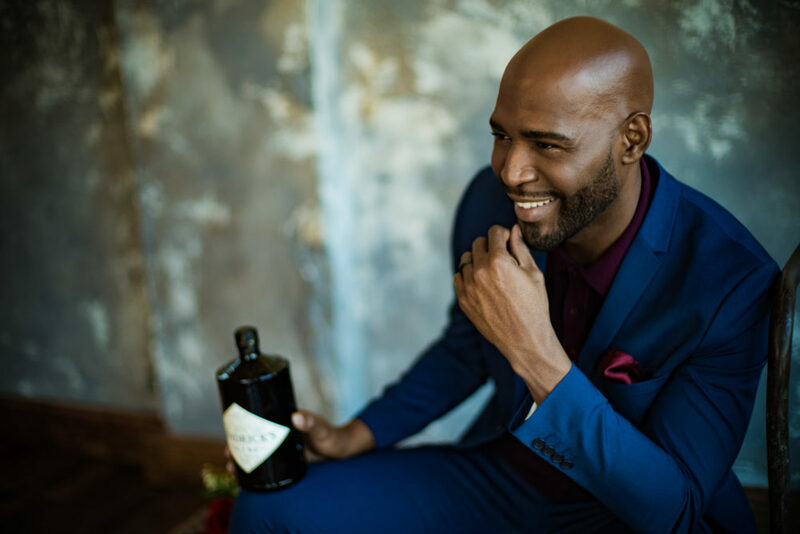 HG: On theme with your Hendrick’s partnership, which cocktail (or alcoholic beverage in general) best matches your personality? KB: I would really have to say, and it’s not because—I hate when these questions come up and I’m actually working with the brand—the cocktail that I’m working on with Hendrick’s. It includes cucumber and lemon juice, and it just tastes so good. I’ve never been able to handle that burn [of gin] going down, so it has to be fruitier and lighter for me. That cucumber and lemon juice is just the best cocktail. 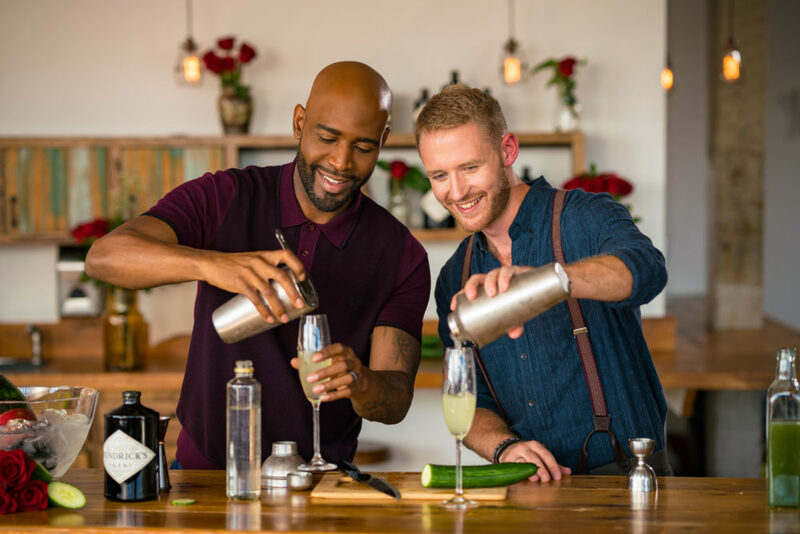 HG: Same question but for your Queer Eye co-stars: Which cocktail or beverage best matches their personalities? KB: Let’s see. Tan would have to be something really put together. A Shirley Temple is pretty put together—very clean and classic. What would I make Jonathan? This is hard! I’d probably make him one of those drinks that they used to drink in the ‘90s that was like glowing and blue. You know what I’m talking about? Like a blue, glowing drink. It’s there and in your face. You’re going to love it or hate it. I think it might be the Blue Hawaii. Yeah, let’s go with Blue Hawaii. I would probably make Bobby a beer of some kind because he’s so accessible and really down to earth. Then I’d make Antoni something James Bond-ish. Like a martini, shaken not stirred. HG: What are your tips for getting through the holiday party season, especially when you’re introverted? KB: Oh my gosh. Those things get real. I don’t think people talk about it enough because we force people, especially during the holidays. You have to go around people and do these things, which is fun, but I don’t think enough people acknowledge how uncomfortable it can be. Even me, as a social butterfly, when I go to new crowds, I still have to take a moment. The fear of judgment. Will someone like me? Will I have the right thing to say? There’s a couple of things you can do to combat that. First, buddying up for a party is always the best. That way you never feel like you’re alone. The second thing would be to remember that other people are having the same awkward feelings. And thirdly, if you’re really gonna have to show up, just remember that who you are is perfect. What you have on is perfect. People will like you. It’s something we have to constantly remind ourselves. Get the recipe for Hendrick’s Gin Cucumber 75 below. In a mixing glass, muddle cucumbers and simple syrup. Add Hendrick’s Gin, lemon juice, and ice. Shake well and fine strain into a flute. Top with sparkling wine and garnish with a cucumber ribbon or wheel.